‘Hitler’s birthday party’ organised for money by commercial broadcaster? Zbigniew Ziobro, the Justice Minister, said that one of the threads of the investigation about the story “Hitler’s birthday”, published by commercial TV channel TVN in January, was that it was a ‘set-up’. A similar inference has been drawn from a journalist investigation into the affair undertaken by the “wPolityce.pl” portal based on self-acquired exclusive evidence published on Thursday. The portal claims to have found out that “Hitler’s birthday” was commissioned by “two men” who approached the prospective party organiser, head of Pride and Modernity Association (“Duma i Nowoczesność”) Mateusz S. (full name withheld under Polish privacy laws) in March 2017. 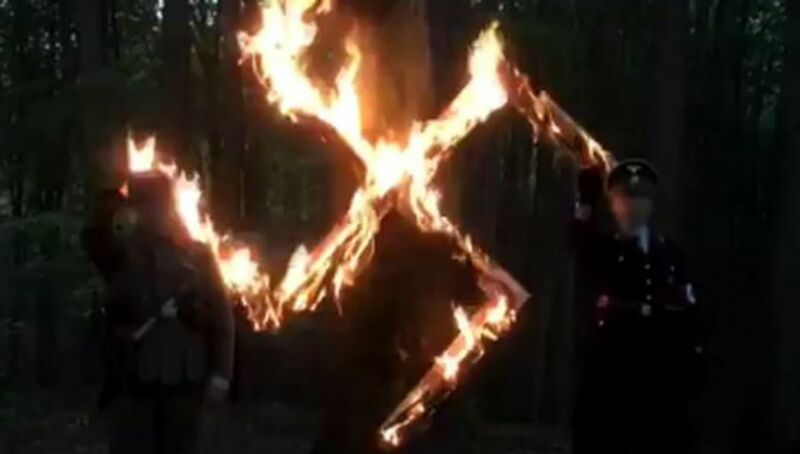 The mysterious men offered him PLN 20,000 (EUR 4,673) to organise a large-scale “Hitler’s birthday” party featuring burning swastikas, Hitler emblems, flags and Nazi military uniforms. In addition, according to “wPolityce.pl”, the men asked Mateusz S. to invite an undercover female TVN journalist to the party. The party took place on May 13, 2017 in woodlands near a southern Polish town, Wodzisław Śląski. According to “wPolityce.pl” two undercover TVN journalists were among the revellers. One of them actually participated in giving a Roman salute that is identified with Nazi symbolism and plied participants with alcohol, encouraging them to actively “fight” with immigrants. The journalists recorded the incident but it was only in January 2018 that the material was released causing a media storm in Poland and uproar abroad. This led to an investigation by the Polish Internal Security Agency (ABW). Poland’s justice minister and prosecutor general Zbigniew Ziobro said that the evidence acquired regarding “Hitler’s birthday” points to the organisers having procured the party for money. However, Mr Ziobro stressed that he does not want to prematurely call this scenario a true and final version of the course of events. “I do not decide what the conclusion of this investigation will be, but I can confirm that these testimonies were contained as evidence and the duty of the prosecutors is to verify them and check their character and reliability in comparison to other evidence,” Mr Ziobro said on Thursday. TVN denies handing money over to Mateusz S.
This TVN story was well publicised abroad. As were stories highlighting racist and xenophobic banners at the Independence March on 11 November last year that led Guy Verhofstadt, a senior MEP, to claim that it was a 60,000 strong march of “fascists”. Both incidents are reminiscent of publicity which appears on the rise of fascism in Ukraine. Most of that publicity originates from Russia and many of the stories have been revealed to be fake or provocations.